Want to add another LINE, lines, or PLines to an existing PLINE? use FILLET command and they become part of the final Pline. Get Twitter updates via Text Message (SMS) by texting FOLLOW LTISACAD to 40404 in the United States. To stop SMS updates, simply text UNFOLLOW LTISACAD to the same number. 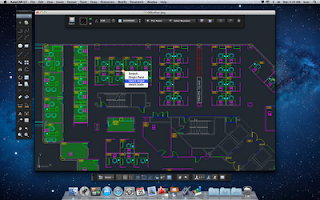 AutoCAD LT for MAC: is it enough? 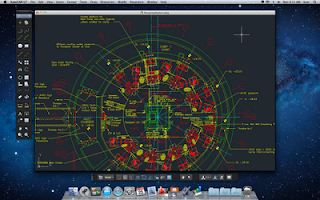 This is AutoCAD LT running in Apple's Desktop/Laptop Operating System, and you can purchase it right now from the Apple Apps Store (North America only for now): that's the power LT has at Autodesk, their best selling Windows application, is now readily available to all Mac users. AutoCAD LT for Mac is, much like its Windows sibling, AutoCAD with no support for LISP or 3D modelling or rendering, and no Network Licensing. It concentrates on the 2D functionality required for drafting and documentation. 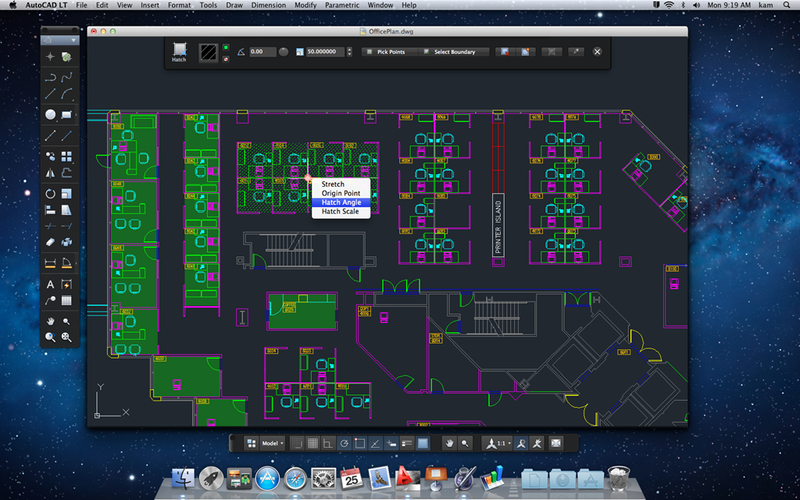 AutoCAD LT for Mac follows common native Mac application user interface guidelines (read: No Ribbon), with a familiar Apple menu bar together with a number of workflow-based palettes. It also supports native Mac OS X Lion behavior, including Cover Flow navigation and Multi-Touch gestures, Visual Quickview, Layout Visor, and Cocoa-centric collapsible and dockable Palette System. So what else is new? This is LT2012 for Mac, and except for the interface, it should be an identical experience, with almost identical commands and features. Work faster with the 2012 productivity tools and enhancements such as multi-functional grips, command line autocomplete, Associative Array, Multi-Function Grips (for more entities), Nudge objects with ctrl+ Arrow keys , Group Enhancements, and Hatch and Mleader enhancement. and more. Watch this VIDEO demonstration. Sheet Set Manager (a Batch Publish command is available as a substitute). Migration tools (it is Version 1 for Mac, and you cannot migrate any LT for Windows content). eTransmit Command (you have to share files old-school style, by hunting and searching). CUI Import and Export (you got a great menu but you can't share parts of it with your colleagues). CUI Workspaces (true drafters get this one). Table style editing (Hope your LT for Windows buddy is generous with their time). Dynamic Block authoring (who needs the greatest enhancements to the old blocks anyway). PDF and DWF Underlays (hope your partners are good at sharing DWG files). Filter and Quick Select commands (you cannot custom sort or select objects easily). Creating or opening password-protected drawings from AutoCAD for Windows. Quick Properties palette (the AutoCAD for Mac property palette has “Essential” and “All” views). And if you are hoping to reuse that Digitizer tablet, Digitizer integration has been dropped. There is also an inexplicable flaw: Command auto-completion may offer commands that are not currently defined or available in LT for Mac 2012. There are no issues with DWG format: you can share your files with anyone in Windows, and they can share their files with you. 100% compatible, and they mean it. Command keyboard shortcuts are a little different thatn Windows: see this LINK for details. Yu can define your own with the following PROCEDURE. 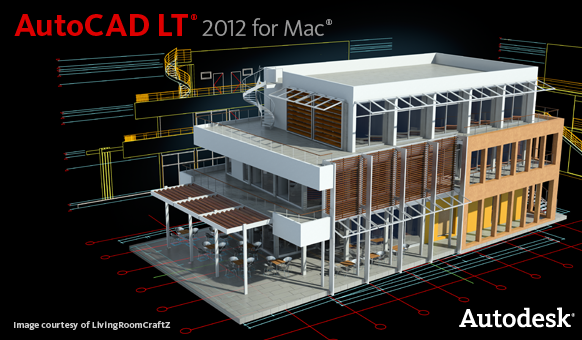 Due to the restrictions of the App Store, there is no trial version of AutoCAD LT 2012 for Mac. If you want to try before you buy, your current only choice is get the 30-day free version of AutoCAD for Mac, then make sure you fully read the comparison matrix before you go get AutoCAD LT. Check out ths FAQ file for bare-minimum system requirements (that's code for it-will-run but you may hate it). FOr the most part, ensure your Apple/MAC is no more than two years old and not the "value" line that is as hobbled as low end Windows PCs from storefront stores. Below is a summary of topics we covered this week on Twitter. This week we cover many good user tips, and one surprising Autodesk announcement. Instead of WIPEOUT: you can set backgrounds to MTEXT and Dimension text in DIMSTYLE: choose "as background" for color. LT2011 and lower: Can't remember a command name? Key in a couple of letters and hit tab key to cycle through all possibilities. Create DWFx quickly, model or paperspace: EXPORTDWFx command, no need to change any predefined PAGESETUPs that aim for another printer. Limit the extent of the GRID displayed on screen by specifying the boundary with LIMITS command. Jeff Bartels: AutoCAD Tip: In Windows Explorer (Windows 7) hover over DWG filenames to display pop up showing AutoCAD version used to create file. SELECTIONCYCLING variable lets you cycle between overlapping objects by holding [shift] then press [space] consecutively. Two hidden commands: use +LAYER command to switch layer filters. FILTERS command launches a dialog box for speedy deletion of Layer Filters. 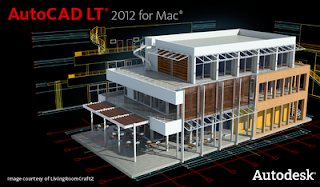 AutoCAD LT offers full compatibility when working with AutoCAD drawings. However, you should understand how AutoCAD LT handles AutoCAD-only features. Work with Fields: In AutoCAD, you can insert LispVariables fields, which are not available in AutoCAD LT. However, the drawings created in AutoCAD that contain LispVariables can be opened without errors in AutoCAD LT, and the cached value is displayed. Work with Multiple User Coordinate Systems: In AutoCAD, you can choose to use a different user coordinate system (UCS) in each viewport in a single drawing file. In AutoCAD LT, you can use only one UCS in each drawing file. The AutoCAD LT behavior is the same as it was in previous releases. Work with AutoCAD LT 2D and 3D Solid Object Shading: In AutoCAD, visual styles provide shading and wireframe options for objects in the current viewport. AutoCAD LT does not support visual styles. 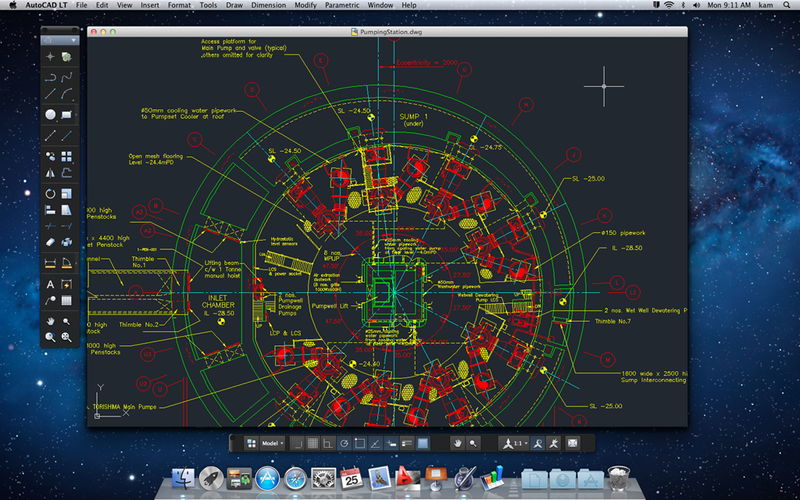 The SHADEMODE command in AutoCAD LT provides only the 2D Wireframe and Hidden options. You can use SHADEMODE in AutoCAD LT to turn off visual styles in viewports that were created in AutoCAD. Work with Constraints: You cannot create constraints within AutoCAD LT. With LT, you can View drawings containing constraints created using AutoCAD, plus View and edit the geometric and dimensional constraints. Work with Dynamic Blocks: In AutoCAD, you can add new constraint parameters to a dynamic block in the Block Editor. In AutoCAD LT, you can open drawings which include a block definition containing geometric or dimensional constraints or a block properties table but cannot add new parameters to the block definition. Modify 3D Point Clouds: You cannot explode, index or attach a point cloud with AutoCAD LT. But you can open drawings created in AutoCAD that contain point clouds. Turn Off Perspective View in an AutoCAD Drawing: Set the PERSPECTIVE system variable to 0 to turn off perspective view in an AutoCAD drawing that is open in AutoCAD LT. You cannot turn on perspective view in a drawing that is open in AutoCAD LT. The AutoCAD Design team is experimenting with new ways to get feedback from actual users. Go to http://ow.ly/1vmmlq now to contribute. While panning, hold SHIFT to constrain pan to horizontal and vertical movements. Works in modelspace and inside viewports. Select an Object, right click, pick ADD SELECTED: use this to create a matching new object with the same properties as the existing one. Switch between Trim and Extend Quickly: while in one of those commands, hold [shift] key to switch to the other. You can convert a drawing to a format compatible with previous versions of the AutoCAD/LT by using AECTOACAD command (or in LT2012 DWGCONVERT command). This process however creates a drawing with information specific to the current release stripped out or converted to another object type. When the drawing is converted, a log file lists changed or lost information. These commands also strip any information created by vertical versions of AutoCAD (such as AutoCAD Architecture or Civil 3D) to regular AutoCAD entities, stripping any roundtripping of the new file back to the original application. Visual Fidelity for Annotative Objects and Annotative Blocks can be set in OPTIONS command: ideal if you want to allow the lower versions of AutoCAD to see each of your annotative block representations as individual objects on individual layers. Layer Property Overrides are not visible in LT versions lower than LT2008, but remain intact if returned to the later LT version. Multiline Text Objects: Some of the paragraph spacing and paragraph line spacing options are not supported when an AutoCAD/LT 2008 or higher multiline text object is opened in AutoCAD/LT 2007 and earlier releases. Tables and Data Extraction: Editing AutoCAD 2008 tables in previous releases removes AutoCAD/LT 2008 table formatting. Also, AutoCAD/LT 2008 table cells with long block and text strings may extend outside of cell borders when opened in previous releases. AutoCAD Architecture (ACA) Custom Objects are converted to plain AutoCAD/LT object types. DGN underlays do not display in releases prior to AutoCAD/LT 2008. Multileaders display as proxy objects in releases prior to AutoCAD/LT 2008. Dynamic block geometry can be redefined independent of the block’s dynamic elements, and the geometry in the block reference is not updated when the drawing is opened in a product based on AutoCAD 2007 or later. Encryption and digital signatures are not preserved. Hyperlinks are converted to AutoCAD Release 14 attached URLs. Database links and freestanding labels are converted to AutoCAD Release 14 links and displayable attributes. Database attached labels are converted to multiline text and leader objects, and their link information is not available. Attached labels are restored if you open the drawing in AutoCAD 2000 or later. Arc length and jogged dimension objects might not retain their original color in AutoCAD Release 14. Dynamic Constraints: Dynamic contraints created in AutoCAD 2010-based products do not display in DWG TrueView. DWGTrueView does not convert of pen-width settings to lineweights when exporting to R14DWG format.